If the signal strength of the Wi-Fi network (SSID) to which your camera is connecting is not good enough, you can connect the camera to another Wi-Fi network (SSID). 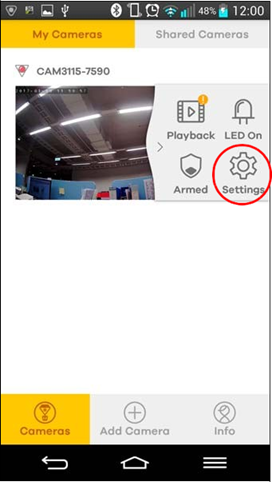 Note: Make sure the Aurora camera is on and you connect both the Aurora camera and the mobile device with the Aurora app installed to the same network. 3. 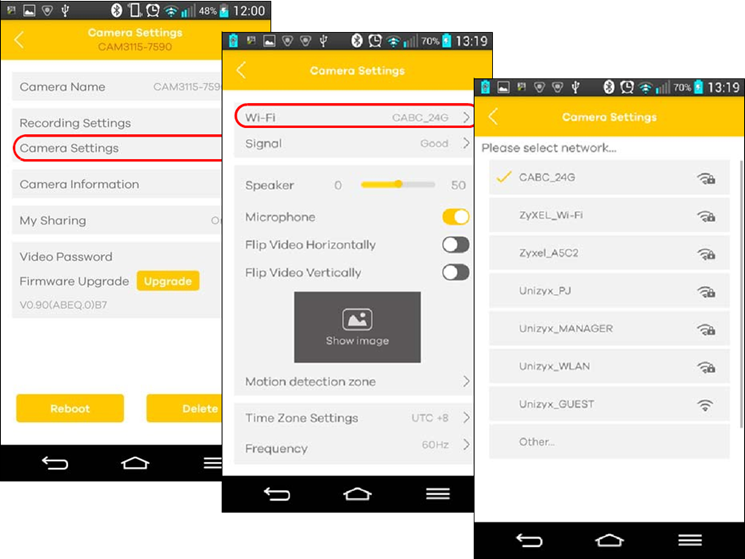 Tap Camera Settings, Wi-Fi and then the Wi-Fi network to which you want the camera to connect.